Apple's iWallet is already in your pocket. Ask what the next revolutionary feature for the iPhone will be, and NFC is a common answer. NFC — or near-field communications — is an ultra low-power chip that allows two devices to communicate small strings of information within a couple feet of each other. Why’s it so revolutionary? The most commonly cited “magic” that NFC would bring to the iPhone would be the ability to use your device to pay for goods and services, just like a credit card. In other words, instead of pulling out your wallet to buy groceries, get onto the subway or pick up a MacBook at the local Apple Store, you’d just tap your iPhone against a point-of-sale terminal near the register instead. The NFC chips in both would communicate and you’d be on your way, no signature or PIN code required. Pretty neat, huh? NFC would theoretically allow Apple to take a cut of real world sales made of even non-Apple products. They’d become a mobile payment company. That seems like such a no-brainer that everyone from Bloomberg to The New York Times. The only problem? Never going to happen, because Apple has already deployed its mobile payment solution, and it’s hidden inside every iPhone 4S that has already been sold. That, at least, is the really quite excellent argument of Research Farm’s Pablo Saez Gil, who says Apple will eschew adopting NFC because it’s embraced Bluetooth 4.0 and it’s excellent Bluetooth Low-Energy capabilities. Apple has already sold millions of iPhone 4Ses that come with Bluetooth 4.0, and Gil argues that it’s a much better fit for mobile payments for Apple than NFC. [Bluetooth Low Energy] allows low-consumption chips to act passively in the form of stickers in a similar fashion to NFC tags and devices can automatically and passively connect and transfer information seamlessly. The technology also enables long distance connections between devices of up to 50m. This feature will eventually enable payments on the go, without the need of fixed POS and traditional checkouts. 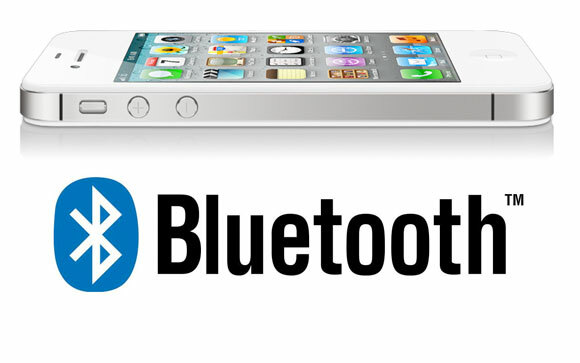 Why’s Bluetooth Low Energy a better fit for Apple than NFC? Look at how payment works at your local Apple Store. You walk in, flag down a Genius, you tell him what you want, he swipes your card on his iPhone and you walk right out the door. You don’t wait in line at a register. There’s no till. It’s all done wherever. That’s how Apple believes retail shopping should be done. With NFC, though, it’s all still about the register, the “tap-and-go” till. Worse, those NFC terminals are all controlled by the credit card companies and payment processors, not Apple. As Gil notes, that’s a huge lost sales opportunity that could be addressed with using Bluetooth Low Energy, because it would increase global demand from retailers looking to replace their registers with Bluetooth 4.0 equipped Macs, iPads, iPod Touches and iPhones. Makes sense to us. Look at what Google’s going through with Google Wallet, a thoroughly stalled NFC initiative for Android. People have been talking about NFC for years, and yet it’s still not even close to taking off. If Apple’s really going to enter mobile payments, doesn’t using a technology that embraces Apple’s own retail philosophy, helps sell more Macs and uses technology you already have in your pocket make a lot more sense?